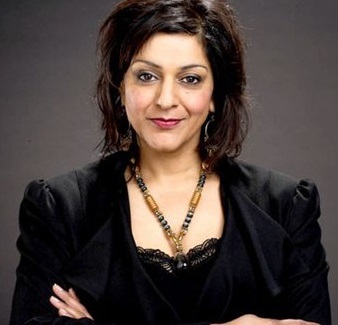 Meera Syal is a well known British comedian of Indian descent, who rose to prominence as a member of the team that created the hugely successful BBC comedy sketch show Goodness Gracious Me (1996-2001), originally on radio and then on television. She went on to even greater fame portraying Sanjeev's flirtatious grandmother Sushila (Ummi) in BBC TV's The Kumars at No. 42, which ran for seven series and won an International Emmy in 2002 and 2003. As well as being a talented actor, Meera is a highly acclaimed comedy writer, starting out with comedy scripts for BBC2's My Sister Wife (1994), which she also starred in. She penned many of the sketches for Goodness Gracious Me and The Kumars at No. 42. She also co-authored the book for the Andrew Lloyd Webber musical Bombay Dreams, as well as her own highly entertaining one woman show One of Us, which was a hit with critics and audiences alike. Other TV roles include the BBC2 sitcom Beautiful People (as Aunty Hayley) and Holby City (as consultant Tara Sodi). In 2010, she played Nasreen Chroudhry in two episodes of Doctor Who, alongside Matt Smith. In 2004, Meera took part in one episode of the BBC series Who Do You Think You Are?, which investigated her family history, Syal discovered that both her grandfathers had campaigned against British rule and presence in India: one as a communist journalist, the other as a Punjab protestor who was imprisoned and tortured in the Golden Temple. In 2010, she played Shirley Valentine in a one-woman show at the Menier Chocolate Factory, later transferring to Trafalgar Studios. Meera has written three novels: Anita And Me (1996) (which became a comedy-drama film released in 2002); Life Isn't All Ha Ha Hee Hee (1999), and The House of Hidden Mothers (2015). She has received many awards during her distinctive - and highly productive - career, including the Betty Trask Award for Anita And Me, the Media Personality Of The Year Award at the Commission For Racial Equality's annual Race In The Media Awards in 2000, and the Nazia Hassan Foundation Award (in 2003). In 2011-2012, Meera was visiting professor of contemporary theatre at St Catherine's College, Oxford. She also has an honorary degree from SOAS University of London and from the University of Roehampton. 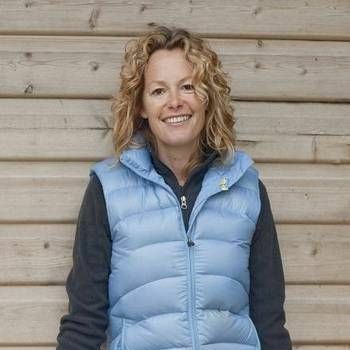 She received a CBE from the Prince of Wales in May 2015 at Buckingham Palace. As a journalist, Meera writes occasionally for The Guardian. Meera is an accomplished Awards Host and Presenter, and is also a first class After-dinner Speaker, with a delivery that is stylish and witty yet at the same time relaxed and warm. To book her for your Event, contact Prime Performers, either through our online booking enquiry form or by calling us on 020 7251 8222. Meera was fabulous, so do please pass on our thanks to her. So many people there last night told me how much they love her and how pleased they were to have a chance to see her. I hope she got home alright after the event.